The MINI Paceman might be something of an oddity, and it might be something of a niche, but the manufacturers insist that this five-door Countryman-turned-Coupe has an audience. It combines space and practicality with sportiness – and it looks pretty awesome. With a few tweaks to the trims and greater efficiency, it’s worth a closer look. The problem with creating a Coupe version of their Countryman was always going to be the fact that a sports car tends to be small and light, whereas a Countryman is big and heavy-set. For this reason, the MINI Paceman doesn’t handle quite like a genuine, smaller Coupe, but Sports suspension does come as standard which helps to improve the driving experience. Engine-wise, there isn’t much difference to last time around for the MINI Paceman, with the only real change being the addition of Euro6 engines that are a little bit more efficient. So, the selection is by and large limited to the 1.6-litre petrol and diesels that all MINI’s share, though the MINI Paceman does benefit from a greater range than the Coupe, which includes a 112bhp diesel unit at the bottom of the range. On the petrol front, the 1.6-litre 112bhp variant can reach 62mph from rest in 10.4 seconds. 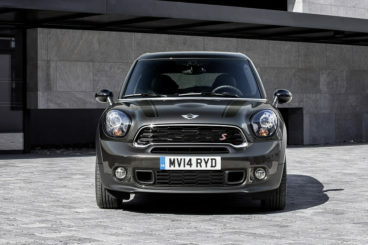 If you opt for the MINI Paceman Cooper S, the 1.6-litre petrol can generate power up to 190bhp. It comes with a 6-speed manual gearstick and is capable of rocketing to 62mph from rest in just 7.5 seconds. If you’re tempted by the MINI Paceman JCW model, power increases to 218bhp, with the engine blasting its way to 62mph in 6.9 seconds. 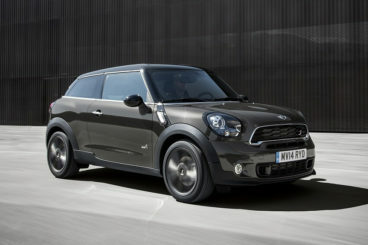 The MINI Paceman is not just a three-door version of the Countryman. Although they look similar, there are a few major differences. The MINI Paceman is 39mm shorter, and also has a reduced ride height which makes for a lower, more sportier driving position. The front grille has been modified, whilst alloy wheels here are smarter and add to a more purposeful look. One of the benefits of this Countryman-come-Coupe is that the MINI Paceman interior has more space than the MINI Coupe and the MINI Hatch. Adults can slot into the back here, which isn’t something they could do on either of those two aforementioned models. Rear seats are actually pretty welcoming in the MINI Paceman, coming as they do in the style of a ‘lounge concept,’ which means the benefit from armrests. Comfort indeed. 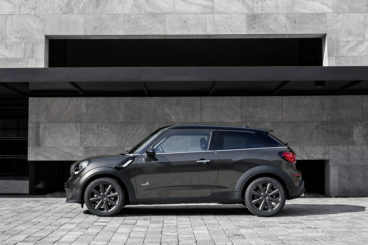 And to demonstrate that this car is more useful than a Coupe, the new MINI Paceman has a 330-litre boot. 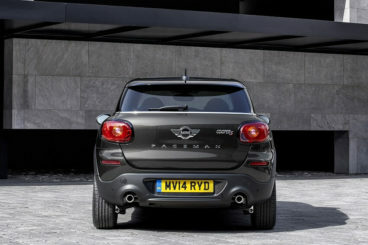 The MINI Paceman price range starts at £20,000 with MINI Paceman deals rising to about £30,000. Glaringly, you’d need to pay a premium of around £2,500 for most models of this car over what you’d pay for a Coupe. That sounds quite a lot, but here you do get rear seats that adults can actually sit in, as well as a bigger boot and a better, more sportier driving position. MINI Paceman specifications included in your MINI Paceman deals are alloys, chrome-plated exhaust, rear parking sensors, DAB digital radio and air conditioning. The MINI Paceman comes with an Auto Start/Stop system which automatically cuts your engine when it isn’t needed – such as when you’re stuck in traffic – whilst emissions have been improved, with the 1.6-litre 122bhp variant emitting 137g/km of CO2. This is a big MINI, but it’s one that’s capable of satisfying sportier types who want something a little different from their large vehicles. It’s already been claimed by the manufacturers themselves that it doesn’t really have a defined target audience, so whether you go for one of these will ultimately come down to what you think it can give you. Well, we can say that it gives you the space and practicality of a crossover, and the dynamism and excitement of a Coupe. If you’re looking for a bulky car with a bit of pizzazz, the MINI Paceman might be the answer. 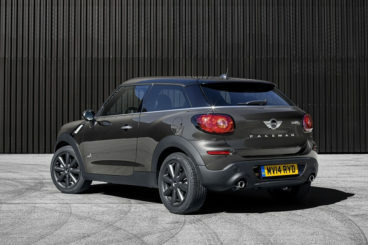 If you want to get hold of the new MINI Paceman don’t hesitate to leave us a message on our contact page, or give us a call on 01903 538835 to find out more about our MINI lease deals.